Last year, I was inspired to learn about the positive side of technology in Rappler’s Innovation + Social Good event. This year, I got to actively participate in the Social Good Summit (SGS) as I was able to share the campaign of #IAmHampasLupa. Rappler also wrote about our story here. Thank you, Rappler! The SGS with the theme, “#HackSociety 2017: Innovate with purpose, leave no one behind,” focused on media and democracy; environment and climate change; peace, governance, and local development; and public health and well-being. It featured innovative solutions to society’s real life problems. It was also an opportunity for different groups to showcase the projects and the work that they do contributing to the Sustainable Development Goals (SDGs). Speaking of SDGs, The 2030 Project organized “LEADERS Unite 2017: #OurGoals.” This is a youth initiative committed to supporting the attainment of the United Nation’s 17 SDGs Agenda by 2030. For this activity, I was invited as a Youth Champion for SDG#12: Responsible Consumption and Production where I discussed how our consumption behavior can contribute to climate change. Both of these events were a reaffirmation of how this generation, branded as indifferent millennials, is actually doing its part to solve the problems of the world. So despite all the negativity these days, it’s nice to know that there are still a lot of good things happening around us. We have a broken food system. We are disconnected to nature, to the food that we eat; that we don’t know how it’s produced and where it comes from. Processed food is bad news. But we know that already. Corporations, as always, are in control of the food available in the market. We don’t know the long-term effects of GMOs (Genetically Modified Organisms) but we’re probably eating them every day. We eat more meat and less fruits and vegetables leading to health problems. In an ideal world, you would be growing and cooking your own food. You would be buying local produce and would constantly check the label of products you buy. You wouldn’t be wasting food. Who does that, anyway. Did you know that it’s the third best way of cutting greenhouse gases? And you would eat more fruits and veggies because aside from its health benefits, it can curb greenhouse gas emissions, too. So what’s stopping us from eating healthy? Let’s start from home. Busy parents have no time to cook and resort to the convenience of fast food takeaways and processed food. Kids get used to eating junk early on. And then these big corporations which don’t really care about your wellbeing offer the “best-tasting” food in the planet, with the demand further fueled by these #hugot-inspired advertisements. Witty as they appear to be, sometimes how corporations take advantage of values, relationships, and emotions as marketing ploy can be disturbing. Another eating habit issue is this notion that meat is normal, necessary, natural, and nice which drives us to consume more meat with less or no veggies at all. A 2003 World Health Report, however, estimates that 1.7 million deaths worldwide is due to low consumption of fruits and vegetables. You don’t have to be a vegan or a vegetarian but health experts encourage a more plant-based diet for a healthier you. Climate change and the environment, and animal welfare may not faze you in terms of your diet but if you want to live long, that should motivate you to give more thought to what you’re eating. Quite literally, it’s a matter of life and death. If you’re an environmentalist, it would be expected or assumed that you’re a vegetarian considering the fact that eating less meat helps the environment. The meat industry requires massive amount of land, food, energy, and water; in short, it has a huge carbon footprint. Add to that the issue of animal cruelty. So vegetarianism seems to be an ideal diet option. You can also choose to be vegan (no animal byproducts), pescetarian (no meat but eats fish), or a flexitarian (occasional meat eater). People have different reasons for their diet whether it’s for the environment, health, or just a matter of preference. But choosing to be a vegetarian in the Philippines is a challenge where Filipinos are practically carnivores who love lechon (roasted pig), crispy pata (pork knuckle), bulalo (beef soup of shank with bone marrow), kare-kare (stewed oxtail with peanut sauce), and the list just goes on. Our idea of a vegetarian dish is vegetable with meat bits in it. I haven’t been mindful of what I eat in the past but as I became immersed in sustainable consumption especially as a volunteer for the ecological agriculture campaign of Greenpeace, I began to make an effort in eating fresh, local, healthy food. I still eat fast food but I try to choose the “healthier” option. I also avoid softdrinks and junkfood. Watching different documentaries on food made me realize how broken the food system is. Food, Inc. (2008) examined the inhumane and environmentally unsustainable food production in the US and the control of big corporations on our food. Super Size Me (2004) showed how a daily fast-food/McDonald’s diet can be detrimental to health. And there are more movies and documentaries revealing the truth behind our food. We’ve heard news about how processed meat can cause cancer, the “pink slime” (meat-based product with ammonium hydroxide) being added to ground beef, chicken being pumped with growth hormones, and fruits and vegetables contaminated with cancer-causing pesticides. Aside from food safety, food security is also being threatened due to climate change. Where does that leave us? We’re encouraged to cook and grow our own food. And that may be difficult if you live in a big city where it’s all about fast and convenient way of doing things. However, there is a decline in fast food sales and a growing demand for organic and healthy food. Some farmers are now transitioning to organic or sustainable agriculture. And urban and container gardening is being promoted in schools and in communities. Food safety and food security are complex issues. We have a broken food system and we can start fixing it by choosing and demanding for healthy, affordable food. 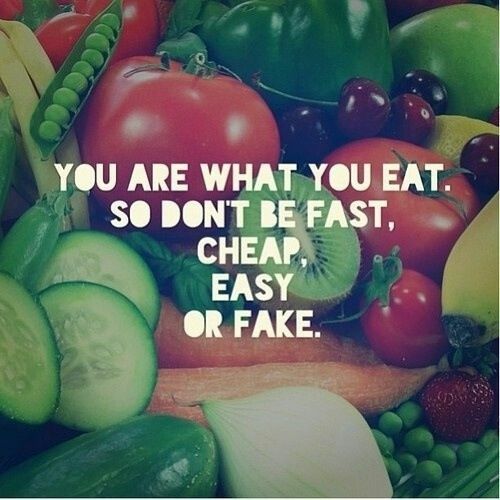 As has been said, you are what you eat so don’t be fast, cheap, easy or fake. Food is a basic requirement for life which we have taken for granted. Aging farmers, food security issues as a result of climate change, and the proliferation of unhealthy, artificial food among others should be a cause for alarm. With the aim of raising more awareness and sparking conversations on food security, the food system, and food in general, Good Food Community, Greenpeace Philippines, #IAmHampasLupa Ecological Agriculture Movement, and Make Sense organized a series of activities from film showing, potluck dinners, picnics, and farm visits for the months of June and July. As a culmination, an MKS Room Event was held last August 20, 2016 at WeCube Makati. The said event combined panel discussion with social entrepreneurs and live music performances. The panelists were Katreen Castillo from Good Food Community, Gio Espital from Bangkong Kahoy Valley, and Julia Alayon from Veritas Organic. They talked about their motivation for pushing for more sustainable food production and consumption. They explained how logistics, economy of scale, and demand could drive prices up for organic products. Health benefits, however, could compensate for such cost. They further encouraged the audience to go into urban gardening to really understand how food is produced. Those who would want to be further involved can come up with their own food conversation session in coordination with Greenpeace Philippines and #IAmHampasLupa Ecological Agriculture Movement. Important points from these conversations will form part of a recommendation to be given to policymakers. We have a broken food system and it’s in our court to fix it. We can start by making a conscious effort of choosing safe and nutritious food that is produced sustainably. We do this for the sake of our own health, the environment, and the future of our food.